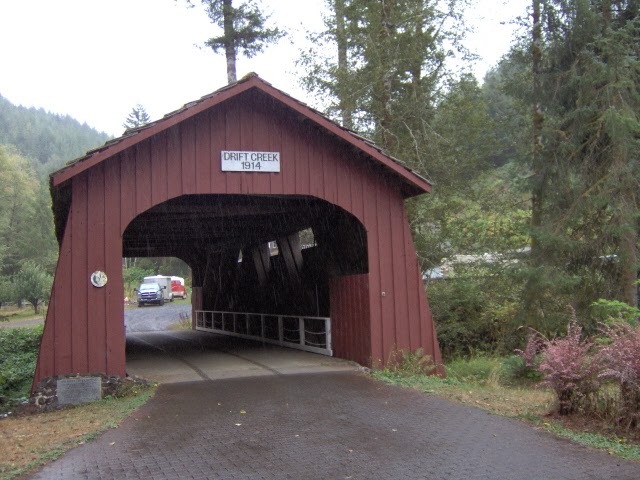 Drift Creek Covered Bridge @ Hwy 18 on the Way to Lincoln City! Sleeps 10, 4 bedrooms, 2 bathrooms. This is the most common whale found along the Oregon coast both during migration season and throughout the year, as some have even made this area their permanent home. Gray Whales can weigh as much as 80,000 pounds and grow as long as 50 feet, but this massive size doesn’t stop them from soaring as high as 15 feet into the air. The Orca, also known as the Killer Whale, is also fairly common to spot from Oregon’s coastline, though nowhere near as common as the Gray Whale. You will be most likely to spot an Orca in April, when they are chasing babies, but there are rare sightings of transient Orcas in other parts of the year. If you manage to get ten miles from the shoreline during a whale-watching tour, you may be lucky enough to spot a Blue Whale. These behemoths get as big as 180 tons and 100 feet long, making them hard to miss for those lucky enough to be graced with their splendid presence. The Minke Whale is not frequently seen from the Oregon Coastline, but there are occasional sightings on whale-watching tours. Those who get out on a tour that reaches miles out into the ocean will be more likely to see a Minke, which is known for its darker color, white underside, and ability to dive for as long as 15 minutes. The Humpback Whale is usually only spotted near the Oregon Coast during summer and in some peak migration periods during the springtime, and even then they are usually only spotted on a whale-watching tour at least 15 miles off the shore. But if you are lucky enough to see one, you’ll be impressed with their length – at up to 60 feet long – and their trademark hump and knobby head. The Sperm Whale is usually only spotted near the Oregon Coast between March and September by boats that are sitting miles offshore. As the largest toothed whale with the biggest brain of any creature on Earth, these magical creatures are worth the wait if you’re able to finally see one. The lesson here might just be that a professional whale-watching tour is the only way to go once you have booked your stay at one of the many local beach vacation rentals. 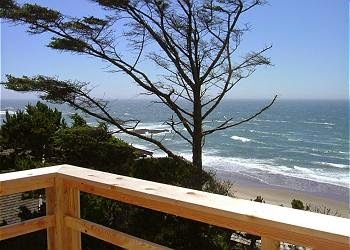 Lincoln City, OR has many tours and accommodations to choose from. 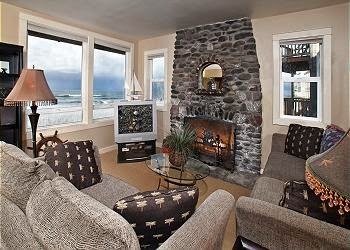 Beachfront 3 bedroom home (sleeps 6-8) in Lincoln City. Beach access is 100yds from your front door. relaxing, and more. Although the end of summer is fast approaching, there is still warm weather, beautiful views, ocean fun, and plenty of activities to suit all tastes. This might just be the perfect opportunity to get the whole gang together to enjoy it while it lasts. Whether you take advantage of this Summer Special on the Chinook Winds Hideaway or book any of A-1’s 26 homes and condos, you’ll be saving money on your next beach vacation in the heart of Oregon’s beautiful stretch of coastline. Everyone deserves a break to get away for a while, and a tight budget shouldn’t stop you from doing so in style. 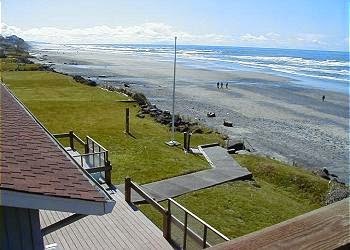 Deluxe Oregon beach rentals are available for couples, small groups and large families, with a host of amenities for sleeping, eating, bathing, relaxing, indulging and staying entertained all included in the price. By sharing the space with your group, preparing most of your own meals, and taking advantage of free activities such as walking to the beach and enjoying the entertainment amenities of your beach house, everyone can stay happy and well-fed in a beautiful and carefree setting for one low price. 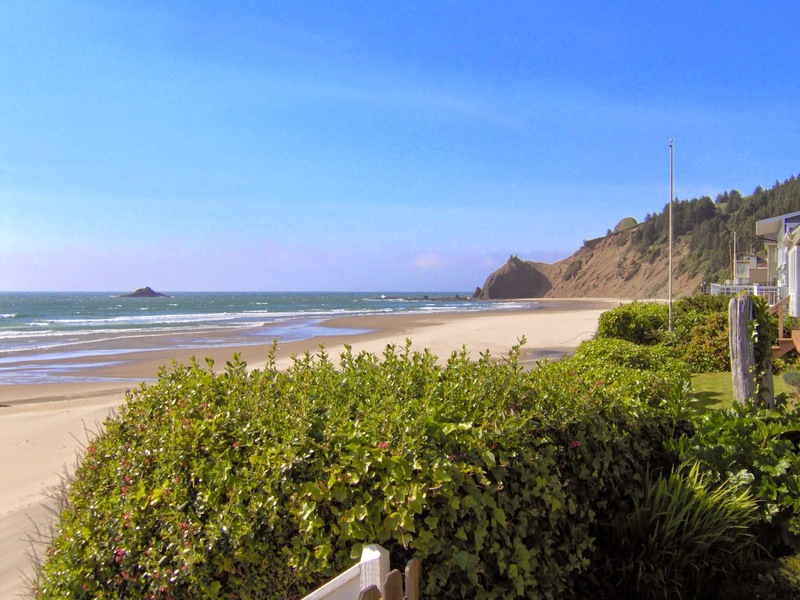 The Chinook Winds Hideaway is one of the most ideal Oregon beach house rentals to plan an end-of-summer getaway around. This family-friendly property is located within close proximity to the beach and the casino, as well as the nearby lighthouse, museums, theatre, golf course, mini-golf center, playground, craft shopping area, and many local conveniences. The house features two queen beds, two bunk beds, three bathrooms, dining seats for eight, bbq, kitchen equipped with appliances and utensils, washer and dryer, gas fireplace, linens, and ironing board. Entertainment amenities such as a hot tub on deck with an ocean view and finely appointed entertainment rooms that include a 42” plasma TV, cable television, DVD/CD player, stereo system, wifi, ping pong, air hockey, foosball, games, puzzles, toys and kids’ books. So, still aching to get away? Even if this Summer Special isn’t right for you at this very moment, A-1 Beach Rentals offers 25 other homes and condos along the Central Oregon Coast in Lincoln City and Depoe Bay that might be perfect for your plans. With everything from quiet beaches to historic landmarks to the excitement of the casino, it could be your perfect getaway. Sweet Autumn Dreams Are Made At Lincoln City, Oregon! Looking to book a house or condo on your Oregon Vacation? Call 1-877-232-5984 or book online at A1 Beach Rentals. 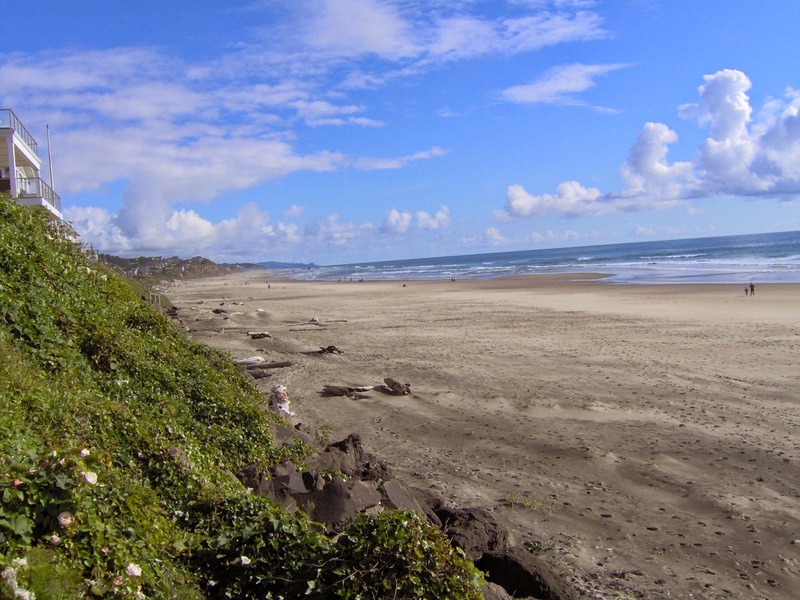 The majority of beaches in the State of Oregon do NOT allow visitors to pitch a tent and/or sleep right on the beach. Regardless of the rules, it’s also not safe to sleep on the beach for a variety of reasons. Fortunately, there are beautiful vacation rentals to suit couples, families and groups of all sizes within walking distance the most beautiful stretches of beach along the Oregon coast. And if you’re still set on camping, there are state parks with tent camping spots near the beach that are available for visitors to reserve in advance. Just don’t show up with a tent and expect to be able to sleep right on the sand. Most Oregon State Parks – including beaches – DO allow fires as long as they are kept under control. There are some that don’t allow fires, though, so always check what the rules are for the specific beach you’re visiting. Keeping the fire under control means a few things: building your fire away from vegetation lines and piles of driftwood, only using small pieces of wood (not big logs), and completely putting out the fire with water (rather than burying it and hiding hot embers that could burn someone walking over the sand later on). If you’re bringing a dog along on your seaside vacation in Oregon, it’s important to read the posted rules for any beach or state park you visit. Many of the beaches and parks require dogs to be leashed. And even if you see others letting their dogs roam free, you should always read the signage to make sure you are abiding by the rules and be conscious of your pet at all times. This means cleaning up after your dog so others can enjoy the beach as it was before you arrived. When it comes to beautiful ocean views and accommodating vacation rentals, Oregon is an ideal destination for all sorts of getaways. The Oregon coast offers opportunities for adventure, communing with nature, wining and dining, shopping, entertainment, and plain ol’ relaxing. So make the most of your getaway and plan ahead! While the last thing you want to think about on your vacation is a bunch of rules, it would be far worse to risk breaking the law or putting someone’s safety at risk at any one of the state’s wonderful beaches. Take a Fall Break At Lincoln City! Book With A-1 Beach Rentals Today! So you’ve looked at all the Oregon beach rentals, chosen the perfect accommodations, plotted your driving route, and planned a few activities to spend your time during an upcoming vacation. It seems like you’ve thought of everything. We all know that things rarely turn out as perfectly in reality as we’d hoped, though, even with have the best laid plans. But no need to worry. With a little foresight you can make sure your Oregon coast vacation goes as seamlessly as possible, even if the unexpected occurs. 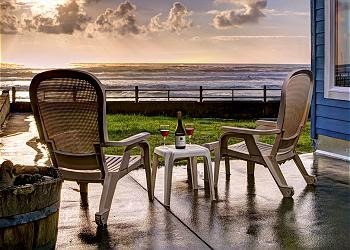 Oregon beach house rentals are probably the most popular form of lodging on the Oregon coast, offering privacy, relaxing atmosphere, beautiful views, and a host of amenities. You don’t want to be hit with surprises when you go to check into your lodging, though, so always be sure to read the fine print. If you are under 25, you should be particularly careful before booking, because some lodgings don’t allow lodgers under 21, under 23, or under 25 without a parent or guardian. Also, make sure you know what amenities will be available onsite and never assume. That way you can pack or pick up anything you need before you arrive. There are all sorts of things that could go wrong on the road, such as running out of gas. What you think is enough gas may fall short. Or you may decide to go on a country drive and get lost or just stay out much longer than you expected. Most beach towns in Oregon have at least one gas station that’s open as late as 9 p.m. during the summer, although you may have a bit more of a problem late at night, in the off season, or when you get further from the beach. Even near the beach, there are long stretches without gas stations, such as the 40 miles between Portland and Tillamook on Highway 6. So, always make sure to gas up when you see a station, even if you think you have enough to make it. It’s always better to be sure you have enough! And if all else fails, make sure your phone is charged so you can call AAA or a cab. Even if you’ve traveled countless times before and feel like a pro at packing, chances are you still often forget to pack at least one thing before you go. If you’re going to be staying at one of the quality Oregon coast house rentals on the beach, you will be fortunate to have many of the amenities of home and space to store everything you need to bring with you. The key here is actually remembering to bring everything you need. To avoid feeling uncomfortable or having to make unnecessary purchases while you’re away, make sure to bring plenty of layers so you’re ready for any weather, shoes for all the activities you plan on enjoying, sunscreen to protect your skin even when the clouds are out, toiletries to keep you feeling fresh and clean, and snacks to keep everyone happy on the road. Now you should be ready for your seaside getaway! 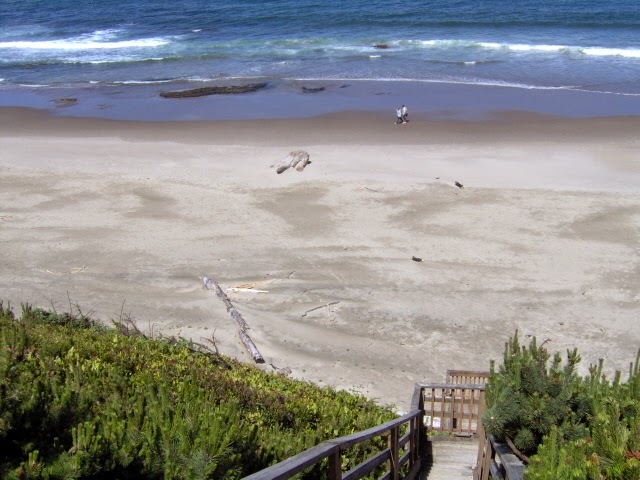 Wonderful Beach Steps Lead On In Lincoln City!